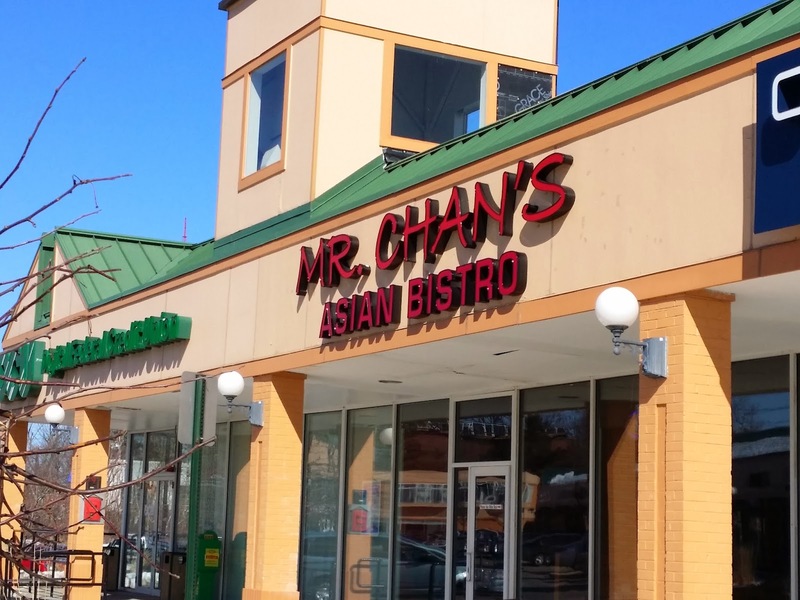 My coworkers and I are regulars at Mr. Chan's Asian Bistro, located in the large plaza on Middlesex Turnpike in Burlington (also another located in Milton). The waitresses know our preferences; chopsticks, hot chili oil and extra vegetables in lieu of the rice for my tall friend. 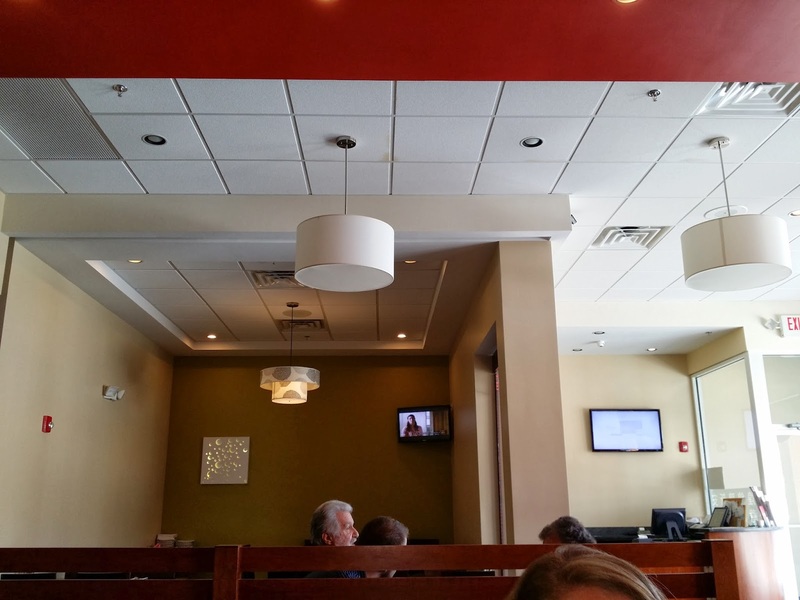 We've been coming here nearly every week for the past year whether its just my tall friend and I for lunch or a company luncheon with the whole inside sales department. 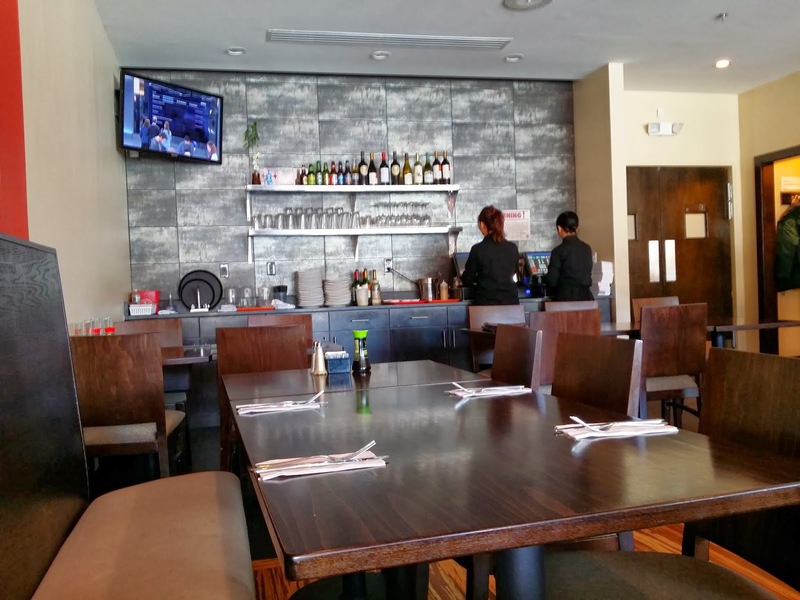 The restaurant is modern and tastefully decorated. Seating is mostly comprised of small tables for two or four but they can accommodate larger parties in their semi private area or by the back wall. 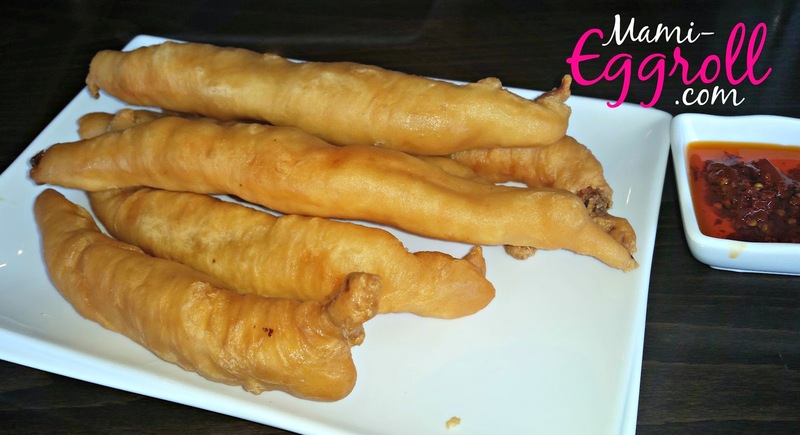 Their traditional Chinese dishes menu (only available in the Burlington location) features House Special Bird's Nest, Hainenese Chicken, Seafood in X.O. 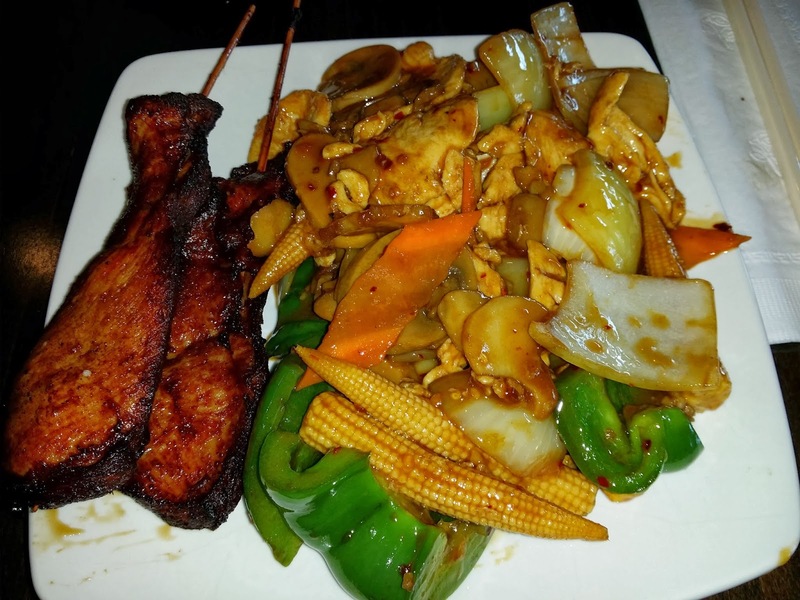 sauce, and other dishes like seafood adn tofu casserole. 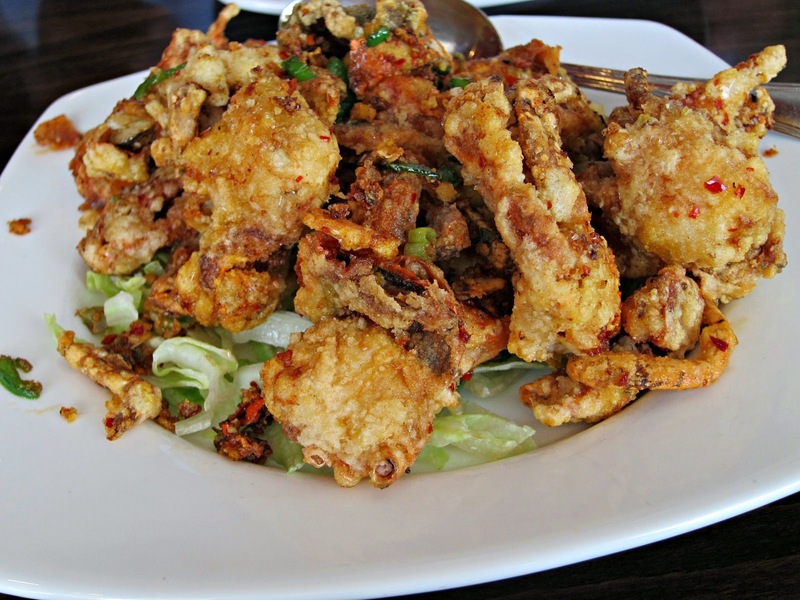 My facorite is the fried salt and pepper soft shell crab for $ 18.95. When I am feeling broke, I opt for the calamari. 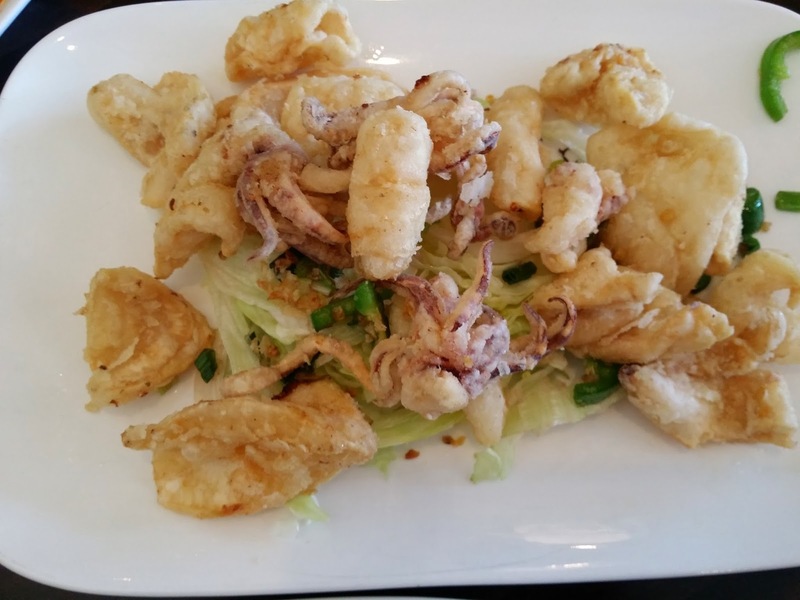 Their fried salt and pepper calamari is just like the one served in Chinatown. They have really good Japanese gyozas and shumais. They are available steamed or pan fried. 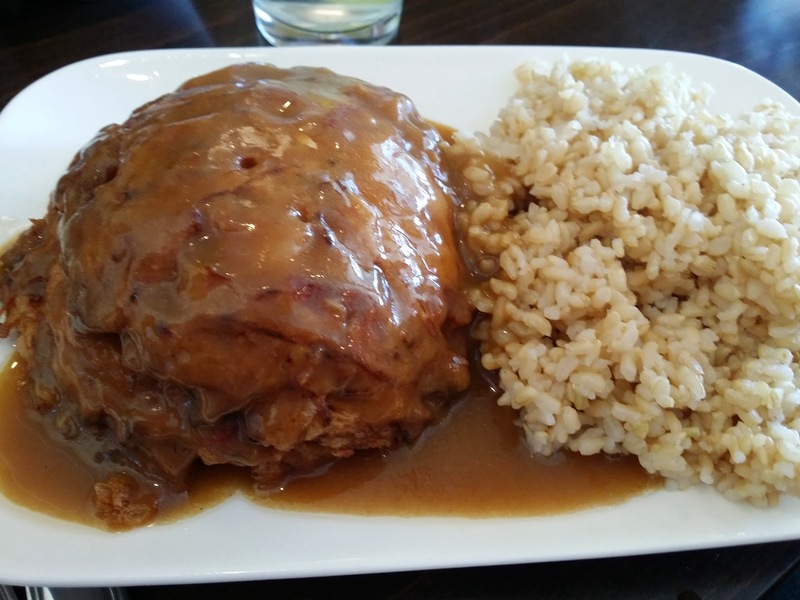 The 6 of us went out for lunch today because Webby was craving Egg Foo Young, a Chinese fried omelet dish with roasted pork and onions topped with a thick gravy. I tried some and it was great. Most of the crew ordered from the lunch combo menu that starts at $ 5.95. 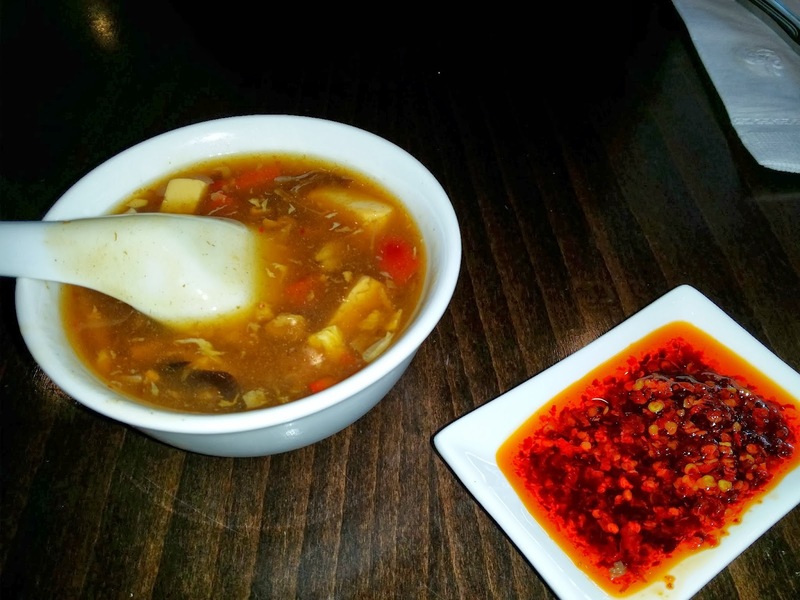 You can add a soup for $1.00 and an appetizer for another $1.00. It's pretty convenient because there are so many menu items and so many different combination possibilities. 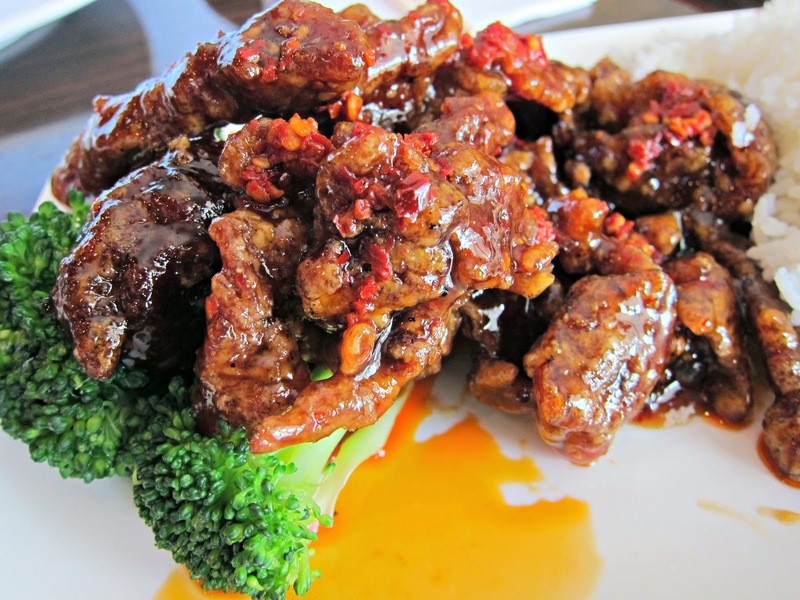 My tall friend usually sticks with Hot and Sour Soup, Spicy Szechuan Spicy Chicken a beef or chicken terriyaki. Chicken was the popular vote today. 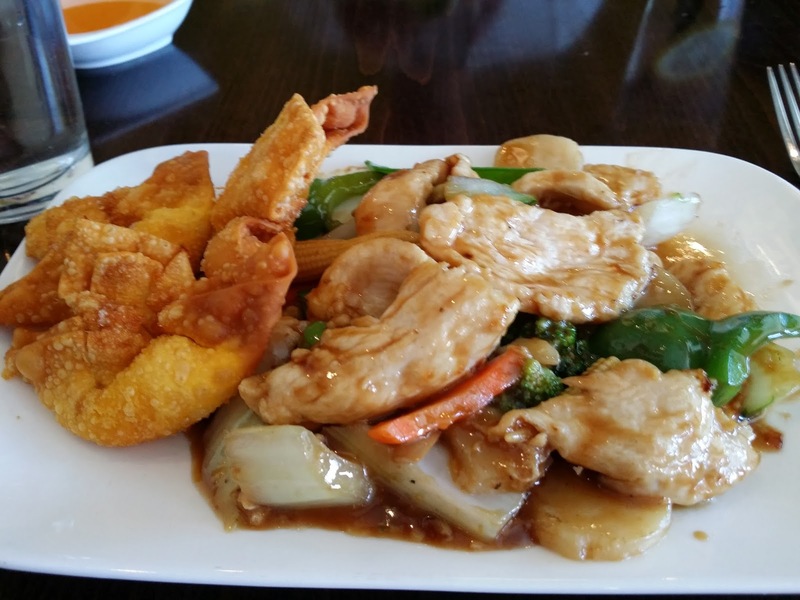 Other orders included chicken and broccoli and chicken and vegetables. 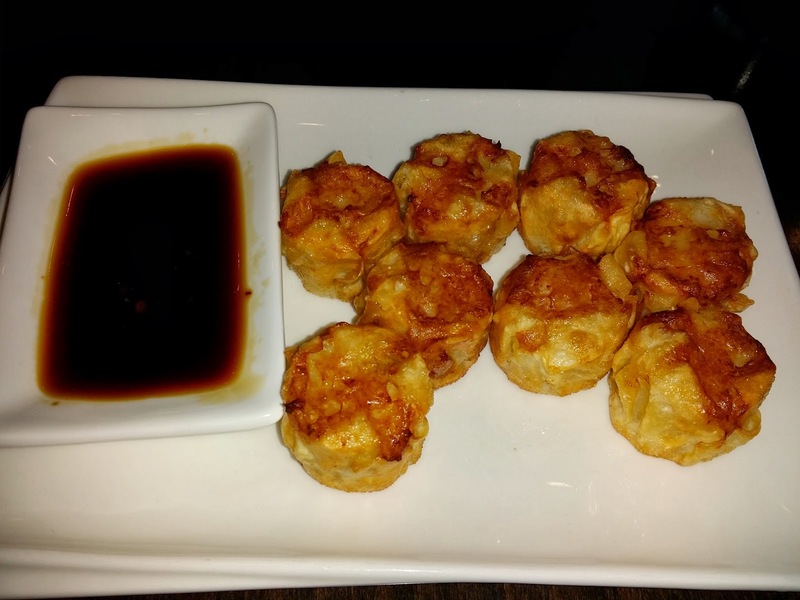 Both opted for crab rangoon appetizers. 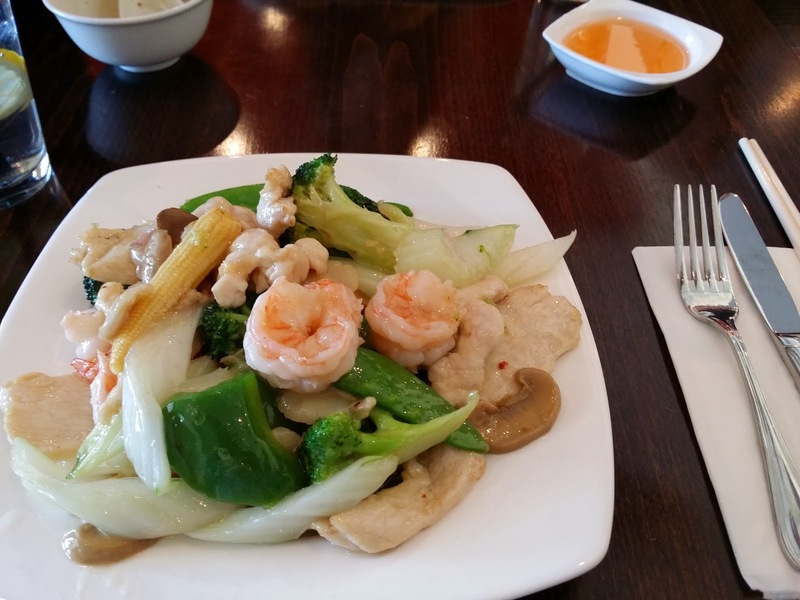 One of my coworkers was daring and tried the Dragon & Phoenix specialty dish which was shrimp, chicken and vegetables in a clear sauce. He said it was very good. 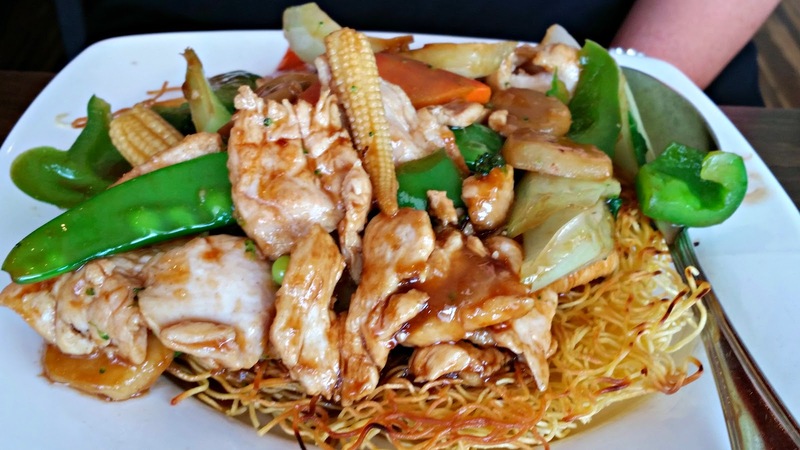 Update* * My friend and I went for lunch today and ordered the chicken pan fried noodles. 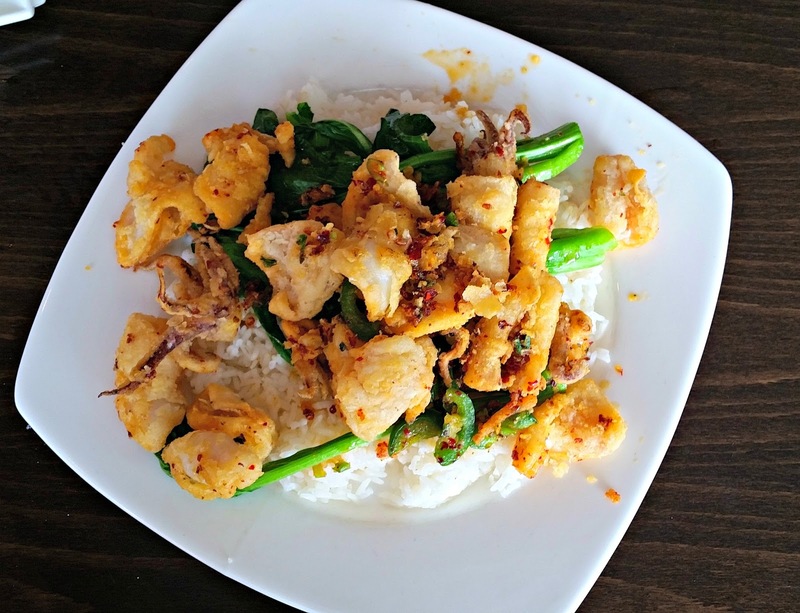 They were also able to accommodate my special request to do a fried calamari rice plate. I wanted to try something different so I went with the Marco Polo noodle dish. 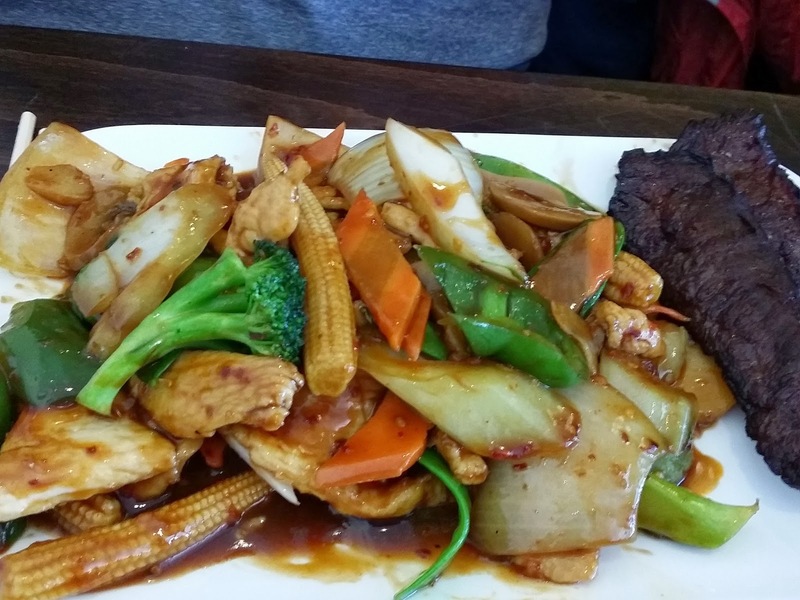 The menu described it as "Beef, shrimp, peas and carrots in a lobster sauce smothered over a bed of crispy noodles." My dish was the last to arrive and they forgot the vegetables. 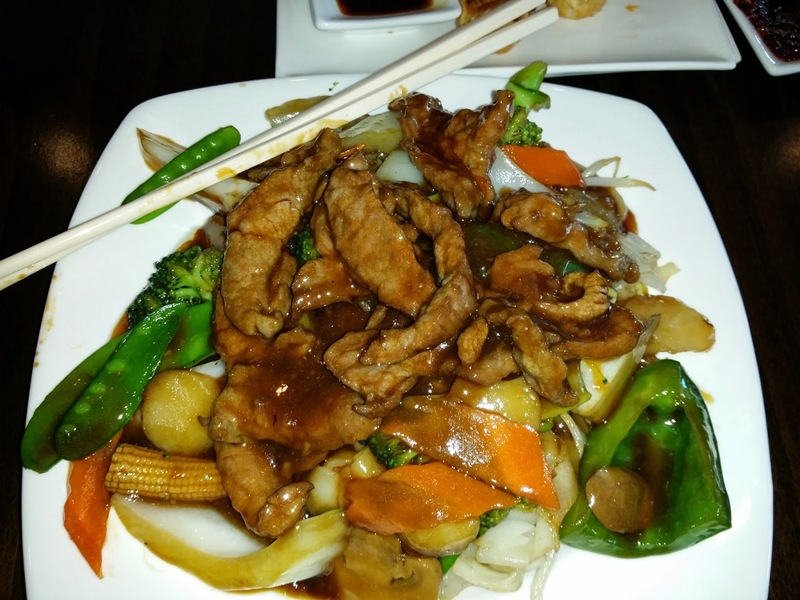 The noodles were not crispy, it was just steamed lo mein. The dish was definitely different and tasty but on the heavy side. In the past., I've also got a few other noodle dishes. 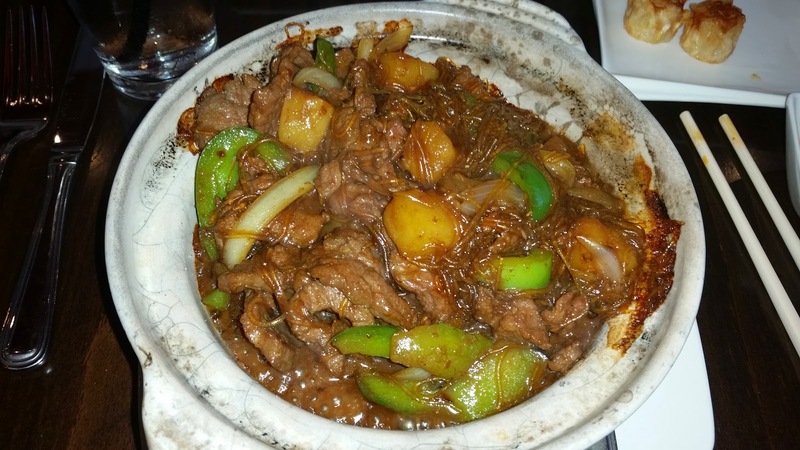 Their beef and vegetable chow foon in gravy sauce is really good. 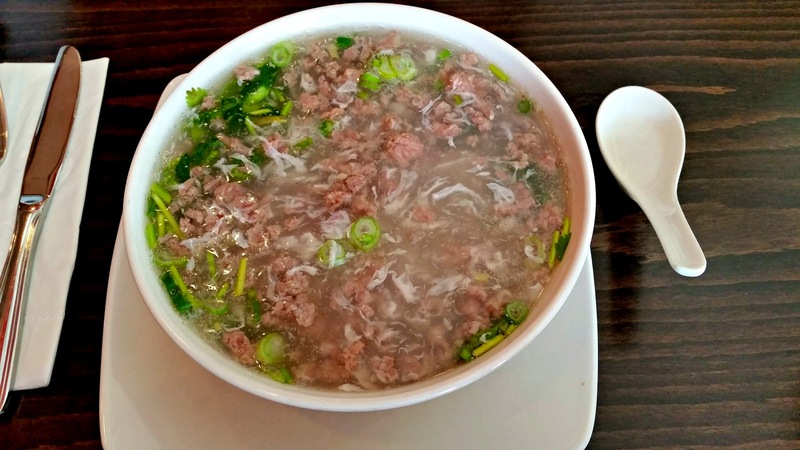 I tried their minced beef and cilantro soup. It was very tasty. 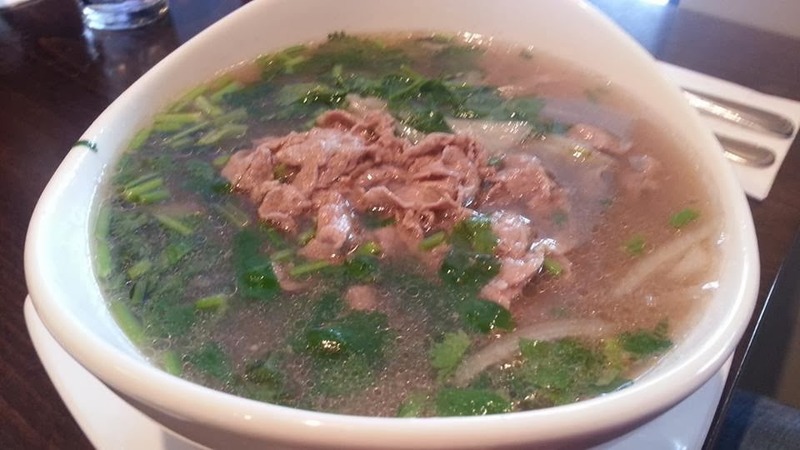 Also, their Vietnamese beef pho is very satisfying on a cold day. 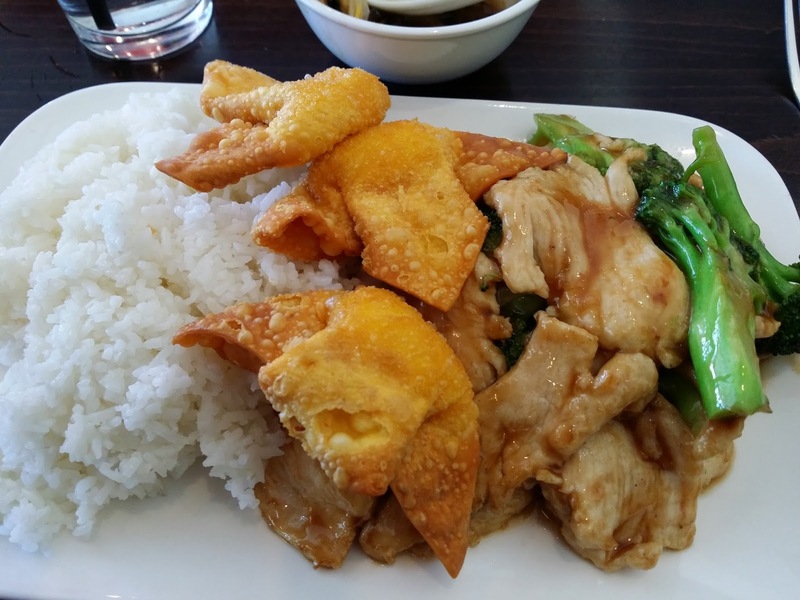 They serve it with the traditional Thai basil, lime and beansprouts in addition to the sriracha and hoison sauce. In the frigid New England weather, a large bowl of noodles sure does hit the spot. 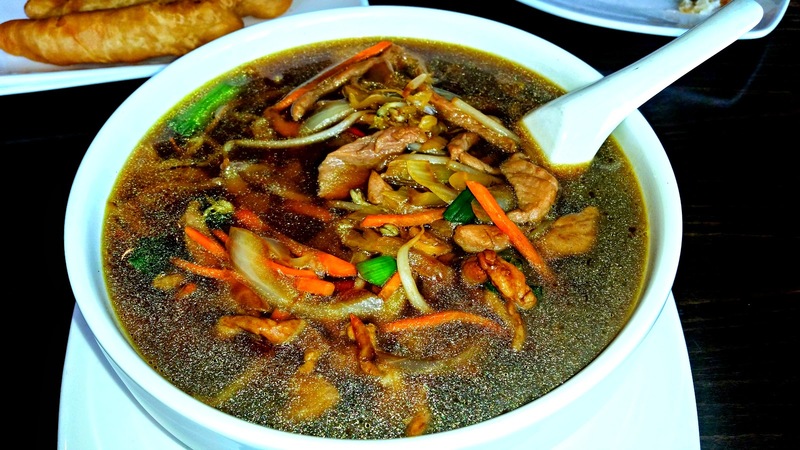 I got the peking noodle soup at Mr. Chan's in Burlington. I switched out the yellow noodles for udon noodles. 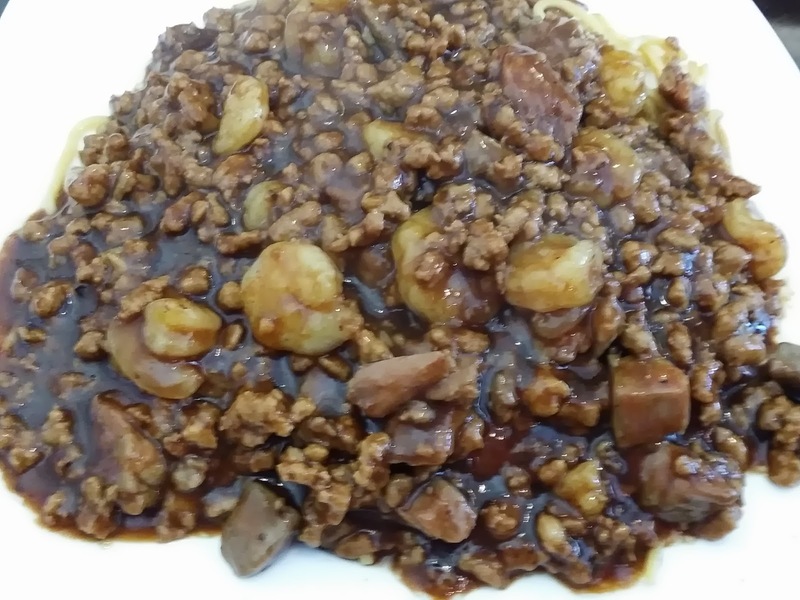 The dish was hearty and delicious!